Sony Webs Website Design Company is based in Hyderabad, Telangana,India. We Specialize in providing high quality, Low Cost Websites and services, principally to low budget organizations and small businesses. Our aim is to provide our customers with the best services available within their budget. At Sony Webs you will get a Website that looks neat, built according to w3c standards, loads quickly for visitors and that is Search Engine friendly too. all these at a very competitive price. Our Low Cost Website Design can deliver everything you expect of a business or personal use website Design without any compromise in features. Sony Webs will not be beaten on design, service or price. With Sony Webs you can be assured that all you will receive a professional service that is reliable and will give your website the modern up-to-the-minute look and feel that will attract more visitors turning them into customers. When you choose Total Creation Cheap Web Design, you are choosing experienced Web Designers will not stop until you are 100% satisfied with the end design results. Sony Webs offer Low Price redesigns on all websites, which you will not get from any other web design company. The Cheap Web Design and Development packages that we offer Very Low price and our unique web designing skills can be structured around all of your design requirements. Every business needs a website and we can help get your company up and running on the Internet. All our bespoke cheap web design packages are custom made from a blank canvas. 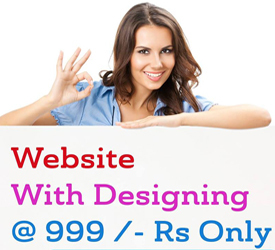 We do not depend on any templates to design Low Cost websites. We can give shape to your dream website. We are proud of our services and we have a great Works and Besttestimonials to prove this. Cheap Website Design at its very best.